Last-minute flash-sale offering 15-day Grand European Tour sailing from Amsterdam to Budapest. Staterooms start at $2,999/person (Cat C-F). Offer expires June 17, 2016. Imagine 15 magical days along the Rhine, Main and Danube Rivers. From Holland’s windmill-studded tulip fields to Germany’s fairytale castles, from the engineering marvel of the Main–Danube Canal to the picturesque vineyards of Austria’s Wachau Valley, this epic voyage presents the highlights of Holland, Germany, Austria, Slovakia and Hungary. Savor a decadent Sachertorte in a Viennese café and panoramic views of imperial Budapest and along the way, discover the legend of the Lorelei, the ancient art of glassblowing, the music of Mozart and more. Guests who choose this voyage soon see why it is Viking’s most popular itinerary. We brought you a flash-sale offer on this sailing back in early April and it was so well received, we booked 12 sailings in one weekend. This offering has less availability, but the price has dropped $1,000/person. A 15-day European vacation starting at $2,999/person is a remarkable offer! 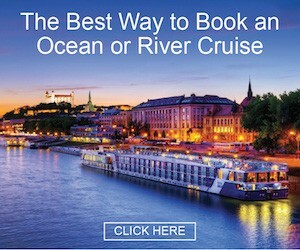 These offers are not advertised to the general public and will not be found on the Viking River Cruises website. 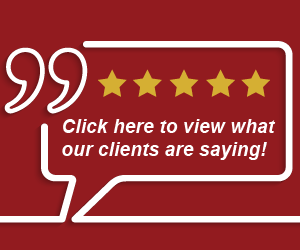 We bring our clients and readers access to these offers because of our relationship with Viking. We do a lot of business with Viking, and they only make these offers available to their best travel partners. These offers are very limited in supply. Viking is filling up the remaining staterooms on this sailing, and when they’re gone, they’re gone. So, if you’re interested, don’t delay. Because these are very special and limited offers, Viking will require full payment at booking, or within 90 days of departure, if earlier. All of the prices below are per person prices based on double occupancy. Lastly, these last-minute offers are for new bookings only. If you’re interested, and want to check on availability, call our office at (480) 550-1235. Or, use our convenient online information request (click here) and we’ll reach out to you. While these prices are certainly attractive and worthy of your immediate response, perhaps the most exciting part of this last-minute offer is that the balcony staterooms are being offered at $3,999/person. I just peeked at Viking Website to compare these special unadvertised last-minute offers and the staterooms above are listed at $4,762/person and the balcony staterooms start at $6,962/person. So, as you can see, this last-minute offer is really quite remarkable. To be frank, there’s no way in creation you could have a 4-star+ European, all-inclusive vacation at these prices. We’ll get an idea of what dates work for you and then check with our back channels at Viking to check on availability. Please know that at these prices, these staterooms will get scooped up quickly. Therefore, don’t delay! Here’s the fine print: Cruise from $2,499 per person (Cats E-F); $3,999 per person (cats A-B) based on available June, July, August & late October 2016 departures of Grand European Tour. Other months higher; call for details. Combinable with Viking Explorer Society Travel Credits and Viking Referral Rewards. Other restrictions may apply; ask for details. Pay in full by June 30, 2016, or within 90 days of departure, if earlier. Offer expires June 17, 2016. Single Travelers Offer: Valid on available June-October 2016 departures of Grand European Tour. (Viking Longships Cat A-F for 175% of one person’s double occupancy price).